A kid in a pastry shop–better than a candy story, I think. A little nostalgia for today: my dad’s birthday–and in anticipation of Father’s Day (US) on Sunday. Here’s my father Peter at 8 years old in Bagheria at my great uncle’s pasticerria Bar Aurora. 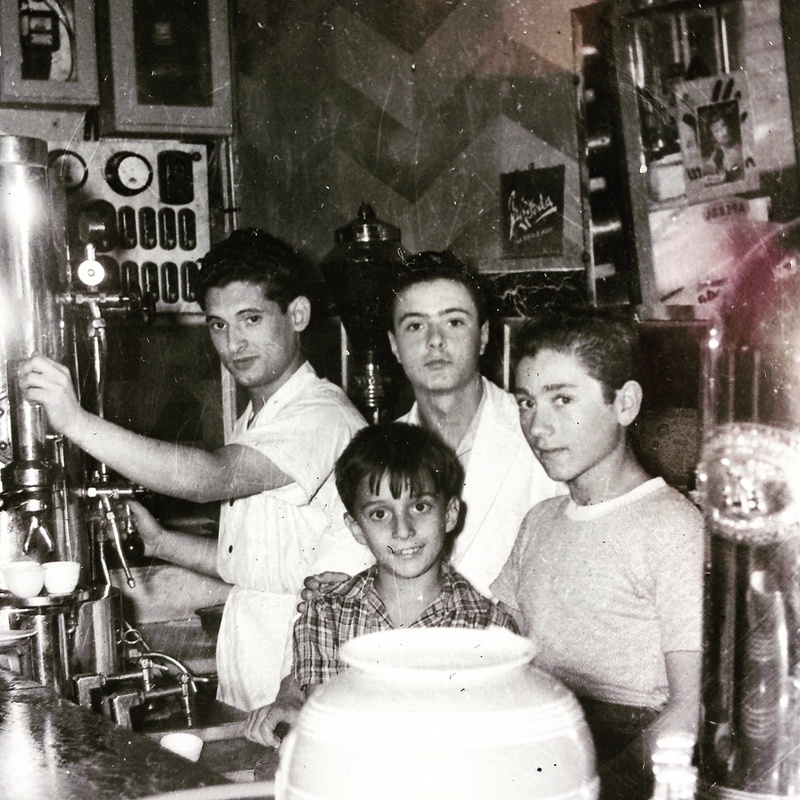 Written on the back of the photograph, my uncle Stefano explains that Nicola is operating the espresso machine, Totò and Piccolo Totò (Little Totò) are behind my dad, who is the little guy in the middle. “Peter,” wrote my uncle, “was always there.” That is, during the three months of the summer of 1950 when they were in Sicily visiting family my dad loved hanging out at Bar Aurora with the guys. With all of those pastries and gelato around, wouldn’t you always be there too? Happy Birthday and Happy Father’s Day Dad! What a sweet picture and story! I love Piccolo Toto for Little Toto – cute. I didn’t know that was the Italian for a diminutive of a name. And Happy Birthday to Peter, your dad, Allison.